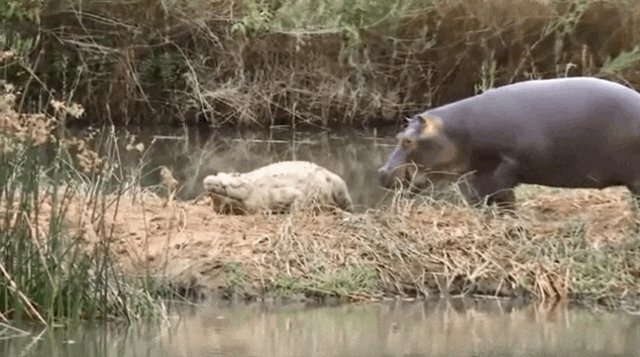 This is a baby hippo names George - and instead of being scared of the crocodiles who live near him on the Turgwe Hippo Trust in Zimbabwe, he wants to play with them. 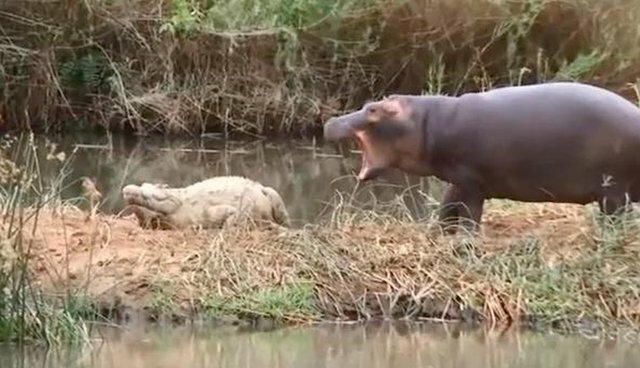 "George was most definitely playing," explains Karen Paolillo of the Turgwe Hippo Trust, who captured the footage. 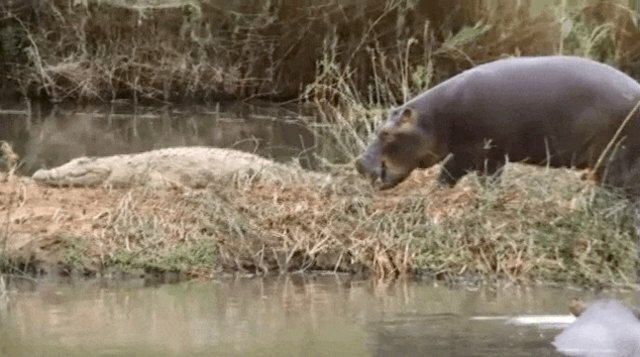 "He does that often with crocs it is a game just like a puppy or a kitten." Nine-month-old George is out to prove that interspecies friendships come in all shapes and sizes. According to Paolillo, this friendship (however one-sided it might seem) is not unusual. 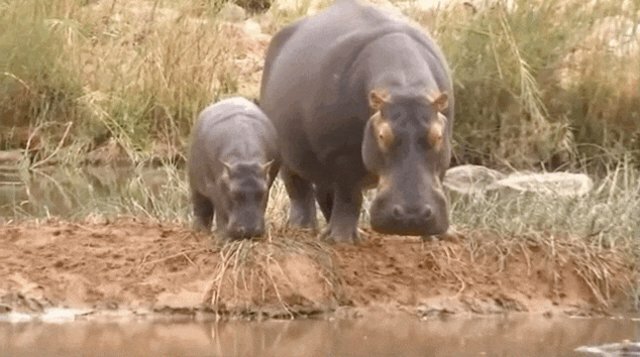 "Often hippos groom crocodiles licking their tails and hind quarter areas," she explained on YouTube. "They lie close together without any hassle on the sandbanks." At the end of the video though, George goes back to his real best friend ... his mom.